If you have a report that takes a long time to process and multiple people may request it, why not cache the report? You might also have a report based on some data range like last year and you only need to run it once since it will not change. Setup Sunset Reports to run the report and either manually save it to a location as a PDF (or other format) or queue it up to run as often as necessary. Then create a different Report Definition that is based on that pre-run file. The option exists with Report Definitions to use an external file. Create the report definition but do not assign a report design. Instead go to the parameters tab and select the text tab. You will find a button on the bottom labeled “Add Filename parameter”. Click the button, browse to the file (you will have to at least run the report once to select the file), and the parameter will be added. 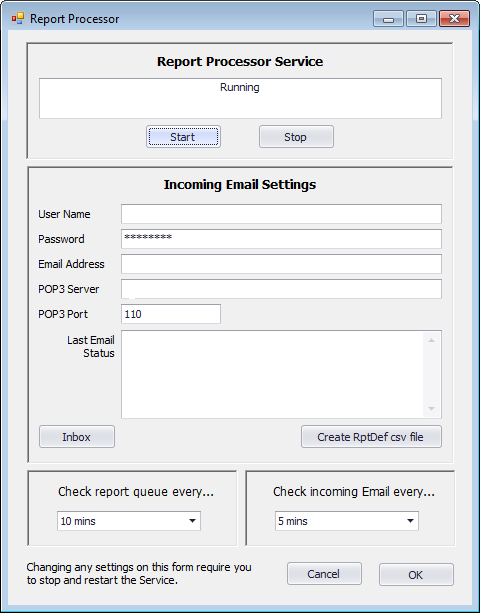 Now running this report definition through the report queue will send the file via Email or FTP without rerunning it. Of course if the location of the file is made available as a local share, the file is available to anyone who has access and the second step is not required.